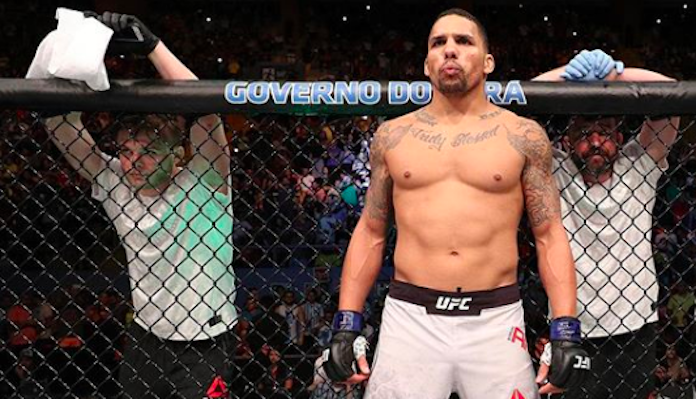 When Eryk Anders steps into the Octagon at UFC 231 against Elias Theodorou — a fight that he’s been chasing for some time — he’s looking to make a statement to the entire middleweight division. Coming off a loss to Thiago Santos, which he took on short-notice and in the unfamiliar light heavyweight division, Anders is looking to use lessons learned to help propel him in the middleweight division. In an interview with BJPenn.com, Eryk Anders opened up about what he’s looking to do against Theodorou, why he’s happy this fight is finally happening, and what he learned from his fight against Thiago Santos. 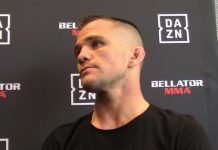 In finally getting his matchup against Theodorou, Anders says he’s happy it’s here but he’s not getting caught up in the social media trash talk that’s been going on. Coming off the short notice loss to Thiago Santos, Eryk Anders said he learned a lot about himself including the difference in being in shape and being in fight shape, but he still doesn’t have any plans to turn down short notice fights in the future. “I’m down to fight anyone at any time,” he said. “There is a big difference, I was in shape but being in fight shape [is different]. I rolled the dice, didn’t come out on top. I would still fight on short notice, I just wouldn’t do it one month after a fight where I took a lot of damage. 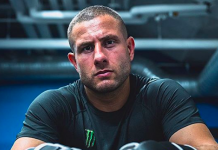 Ignoring the trash talk and using the lessons learned from his fight against Santos, Anders has a simple mindset going into UFC 231. 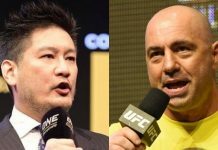 He wants to make Elias Theodorou quit. 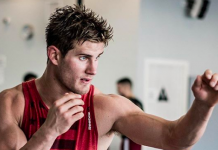 “I’m just looking to go out there and do what I do and that’s finish fights. I’m not looking to go to a decision, I’m not looking for it to be close. I’m looking to go out and impose my will, establish dominance, and have my way with elias until he’s ready to quit. 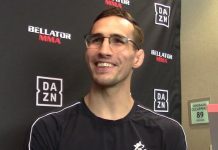 With a finish on his mind, Anders says he’s not only looking for a win but he’s looking to show the growth he’s made as a fighter and earn himself a spot in the middleweight rankings. The Alabama native Eryk Anders is showing full confidence and focus as he prepares to take on Elias Theodorou. 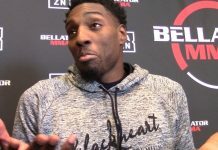 Just like his alma mater the Alabama Crimson Tide and fellow Alabama resident Deontay Wilder, he is looking to show he can bounce back from any setback and plans to make a statement with his return to the Octagon. Speaking of Alabama, Anders, the former Crimson Tide linebacker, also called for UFC heavyweight champion Daniel Cormier, a native of Louisiana and fan of the LSU Tigers, to pay up his debt on a bet the two made between Alabama and LSU. With Alabama’s victory, Cormier will have to rock Crimson Tide apparel and Anders says he’s keeping the jersey on deck. Staying prepared at all times. That’s Eryk Anders’ mindset and he plans to showcase how that mindset can pay off at UFC 231 against Theodorou.